The last weeks of August and first of September have been filled with school preparation, projects with deadlines, extracurricular activities, open houses, new and exciting routines and so much more! All fun yet a great reminder that our leadership advantage is slowing down to succeed! "It is a cultural revolution against the notion that faster is always better. The slow philosophy is not about doing everything at a snail’s pace. It’s about seeking to do everything at the right speed. Savouring the hours and minutes rather than just counting them. Doing everything as well as possible, instead of as fast as possible, it’s about quality over quantity in everything from work to food to parenting." I get it; our brains are very busy places! We are modern leaders with brains exposed to constant over-worked and over-loaded pressurized environments. The pressure grows and unless you are being self-aware you hardly notice you jumped back on the treadmill of busyness. You may see a slight change in your productivity, performance and personality. This is when most of us subconsciously speed up, not slow down! Not only does it feel good to slow down but leaving space in our schedules rather than striving to fill every moment with activity leads us to solve our challenges more naturally. Coaching is that positive space for presence which reaps rewards often beyond our limited beliefs! Barbara Fredrickson developed the Broaden-and-Build Theory of Positive Emotions, demonstrating emotions such as joy, gratitude, serenity, interest, hope amusement and inspiration; expand cognition and problem solving while stress narrows our cognitive ability! We move forward better when we are experiencing positive versus negative emotions. 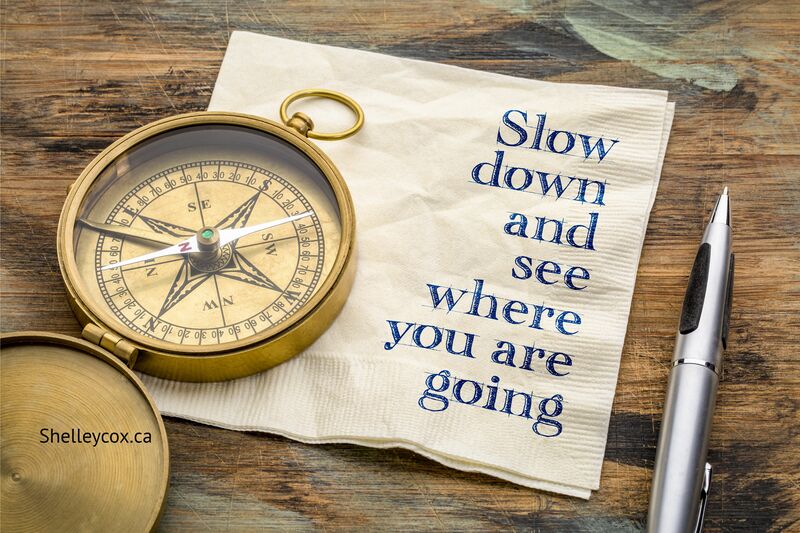 A slower pace can create space for leadership calm to spark richer thinking, more creativity, increase collaboration, innovation and problem-solving. I am an experienced ICF Certified Executive Leadership and Career Coach with the honor of helping countless emerging leaders like you discover their leadership and career visions to overcome disengagement to emerge strong!